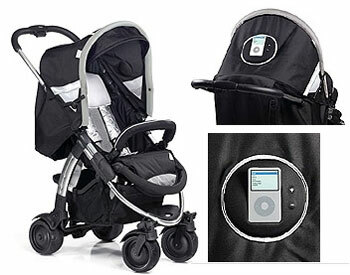 The Pico-iPod from i’Coo is a high-end baby stroller that features a built-in iPod dock, volume controls and speakers so you and your baby can rock out while you run your errands. this… must be a joke. Wow. Jeep’s had this for at least for years now…the only difference is that it wasn’t for iPod’s only – and they still aren’t. Why would a company want to alientate *any* segment of the consumer market when they don’t have to at all?